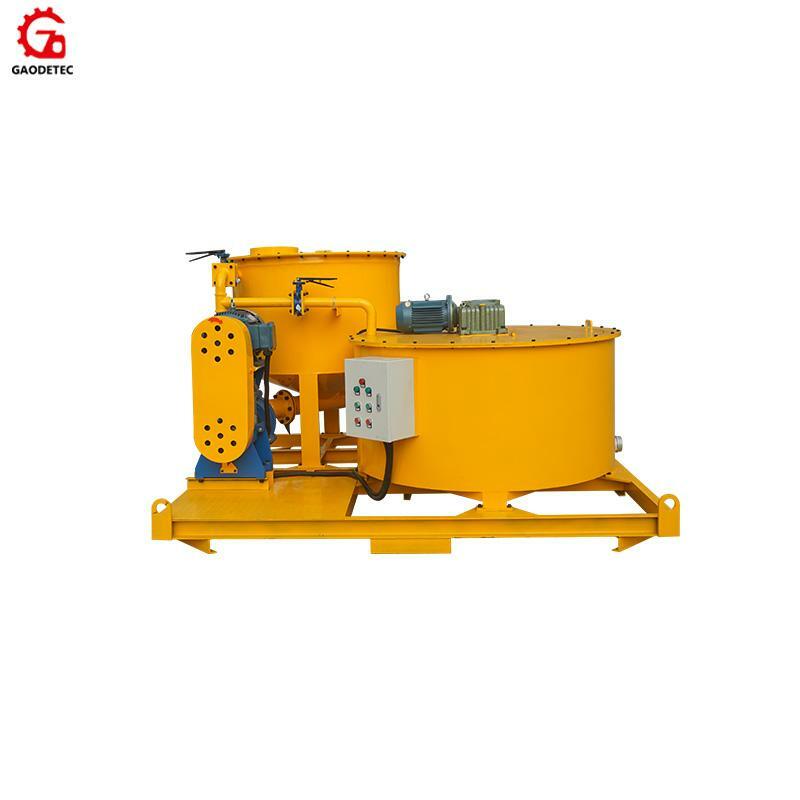 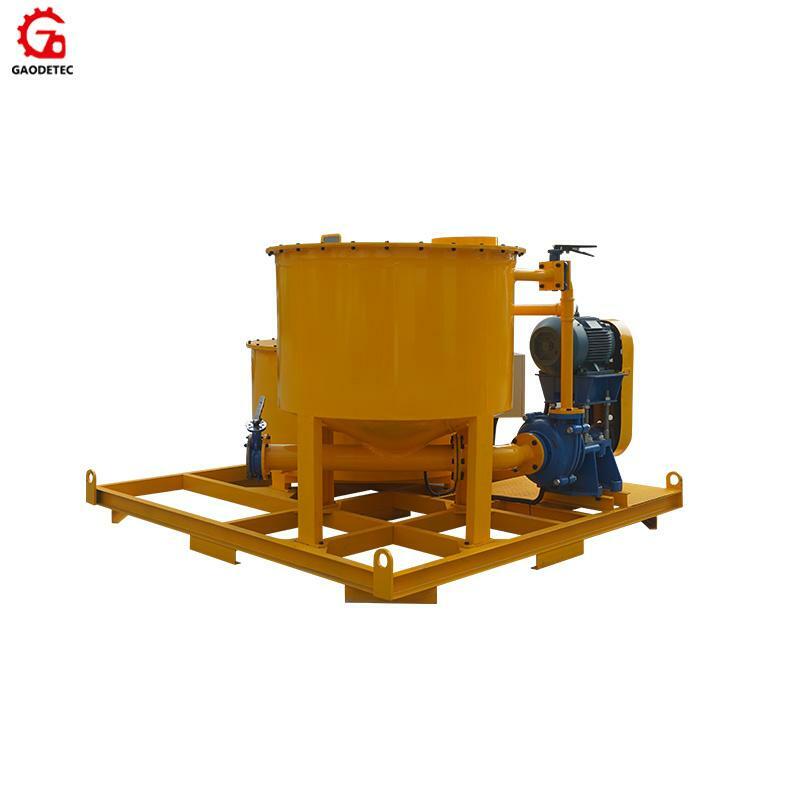 GMA850/1500E grout mixer and agitator is a skid mounted, colloidal grout unit. 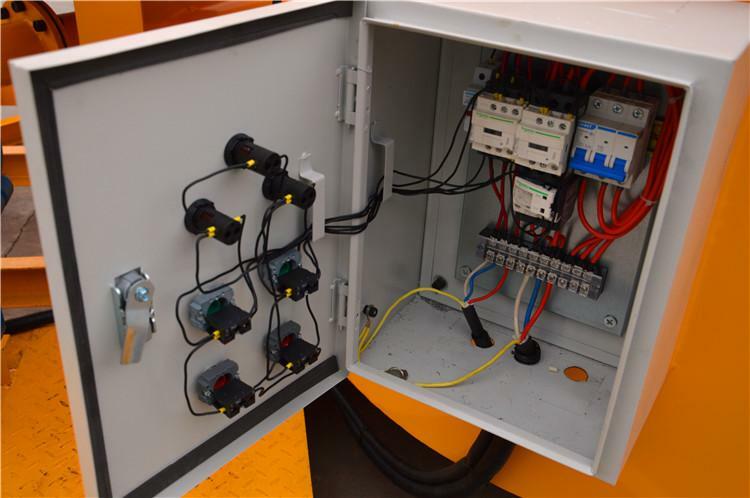 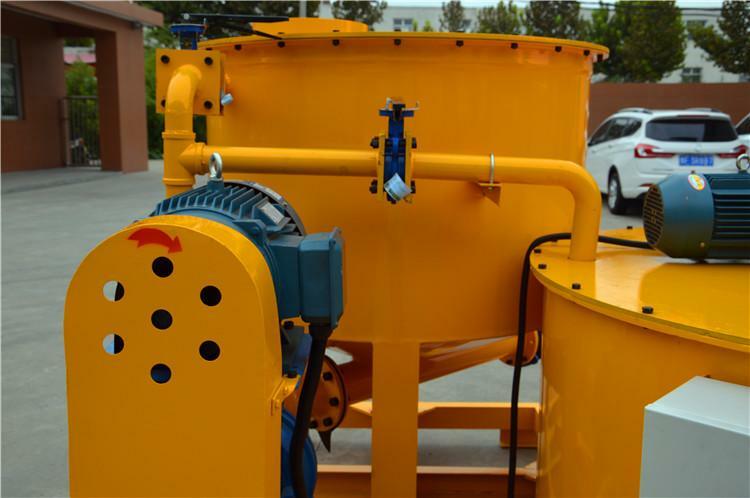 This system is designed to provide a continuous mixing operation. 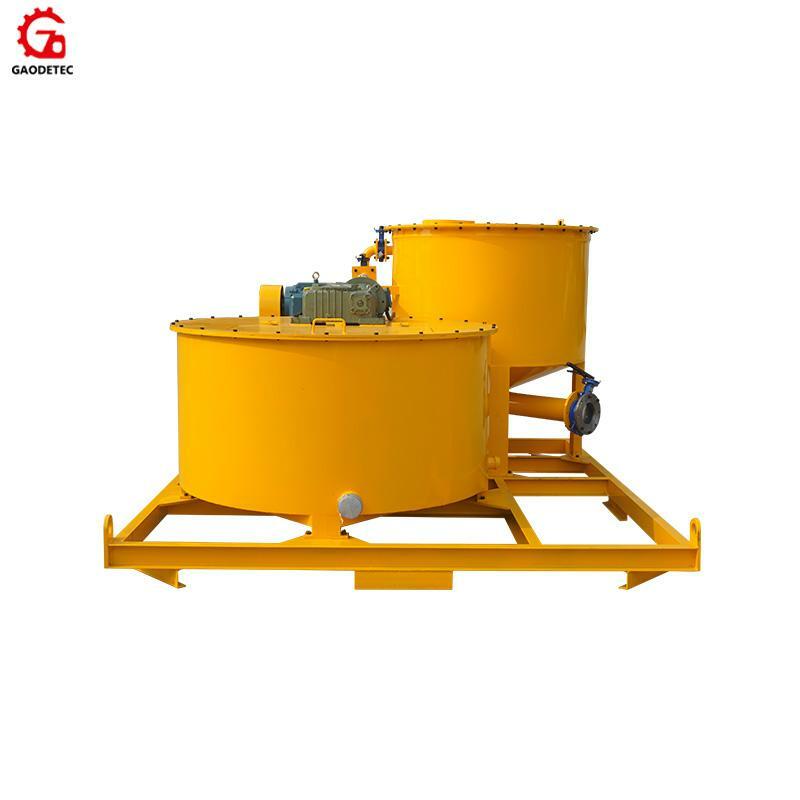 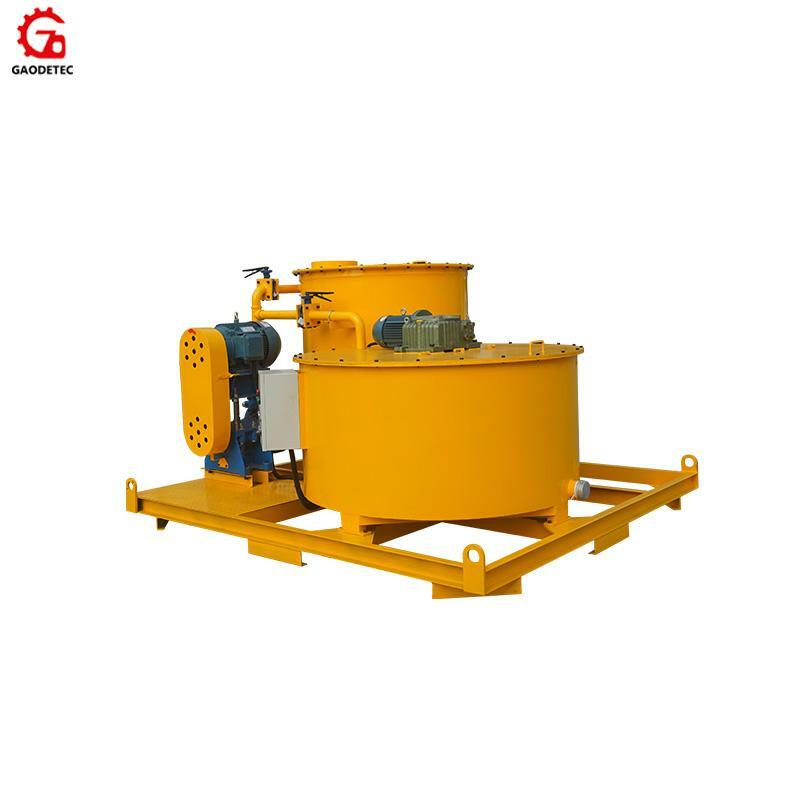 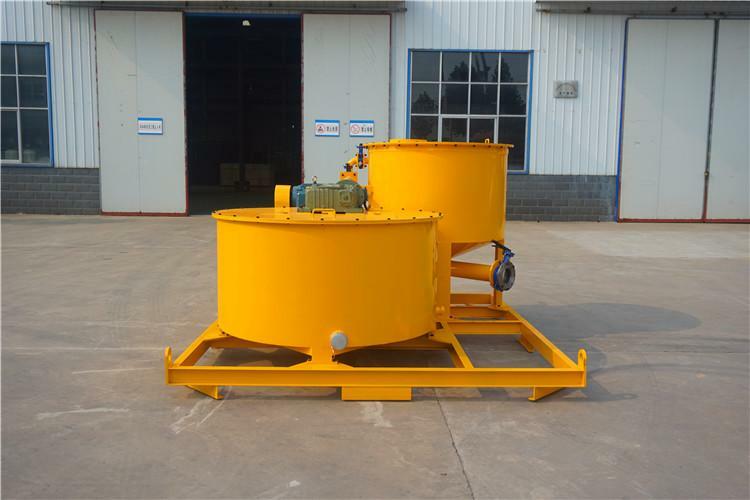 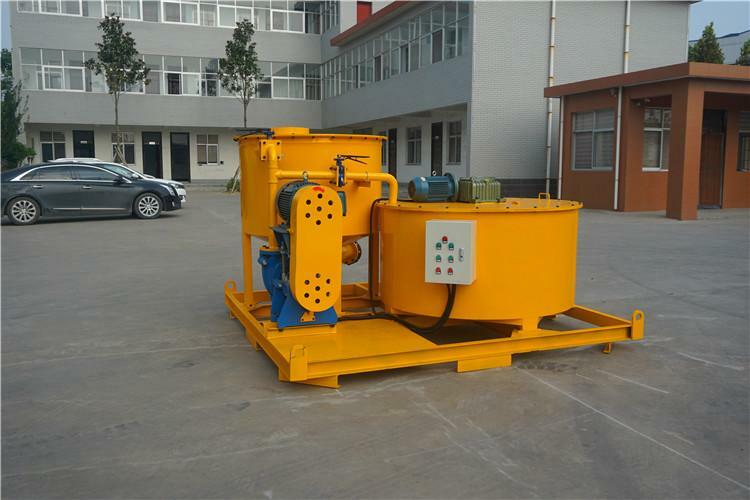 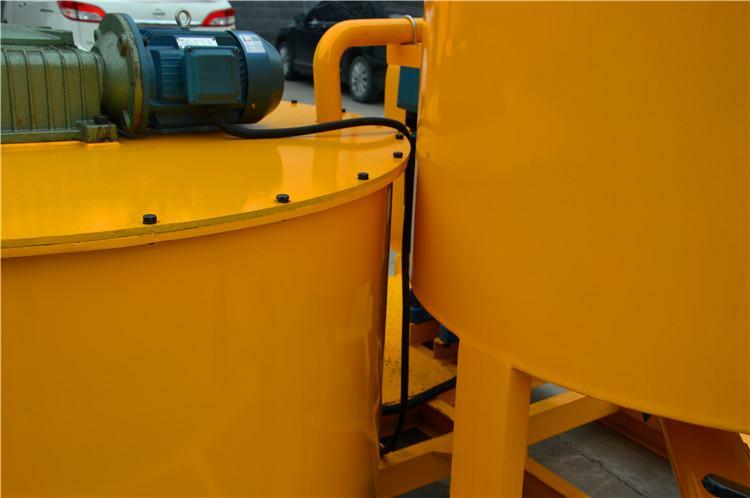 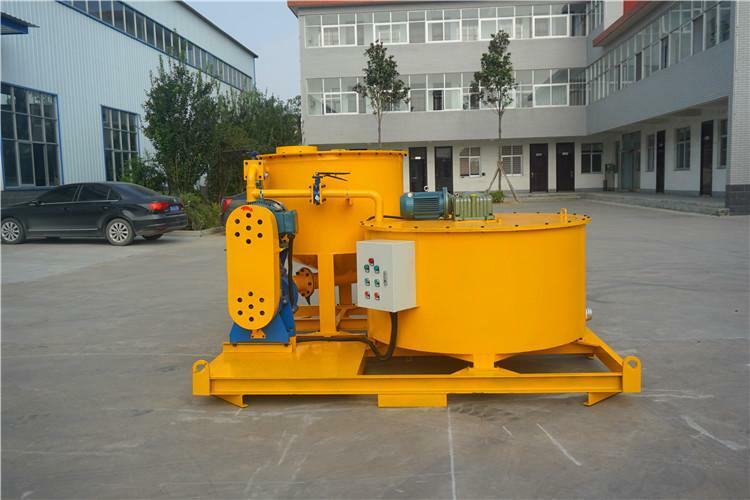 It is a combination consist of a steel sheet cylindrical mixer tank, heavy-duty slurry pump, and agitator tank, set-up on a strong base frame. 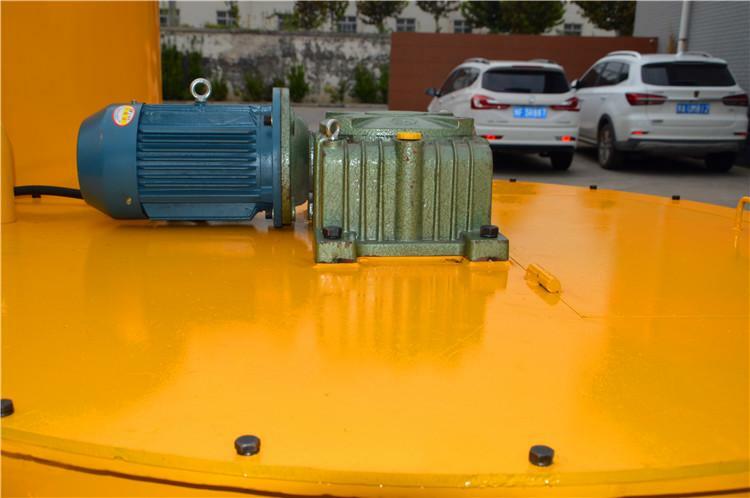 Less spare parts, low maintenance. 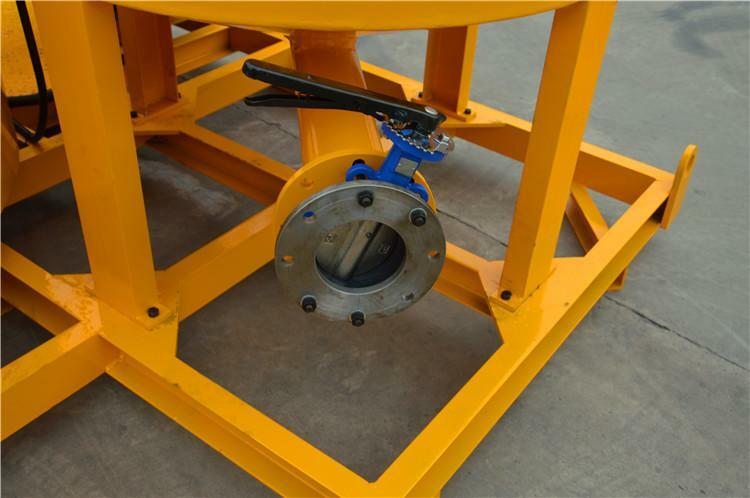 Lower using cost. 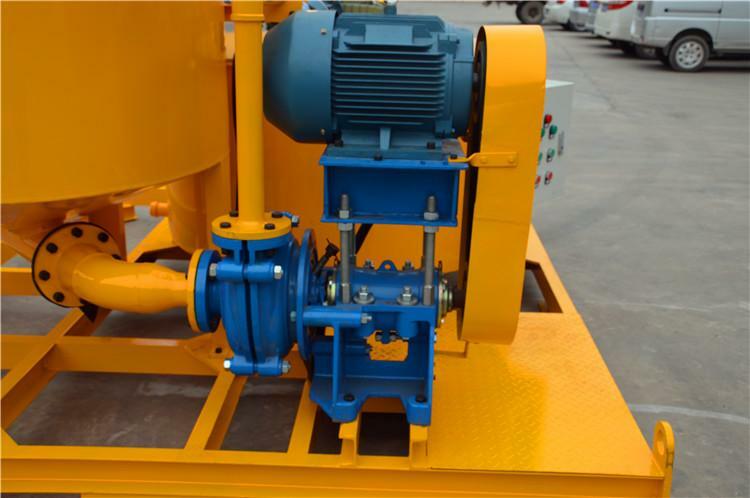 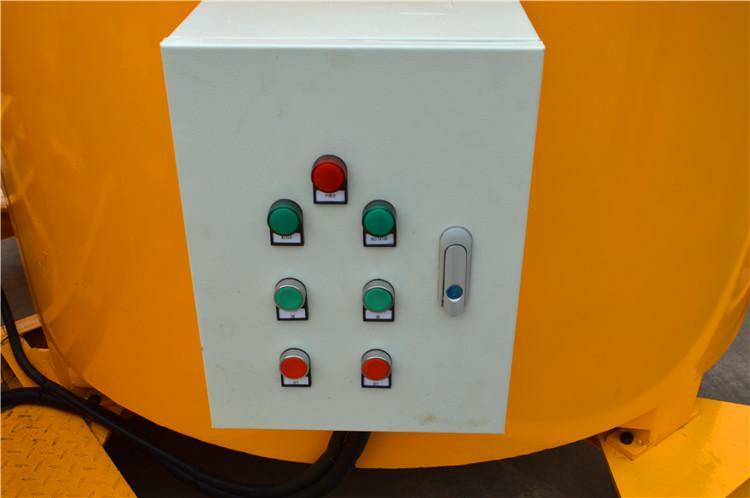 Mixer and agitator switch by using butterfly valve, simple to operate.